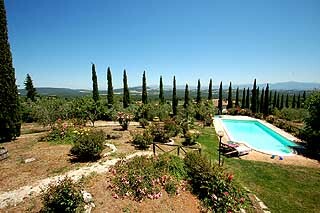 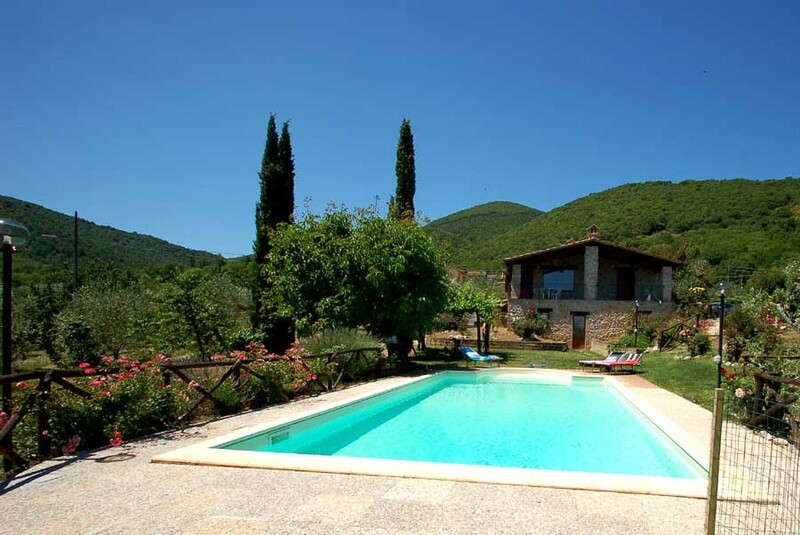 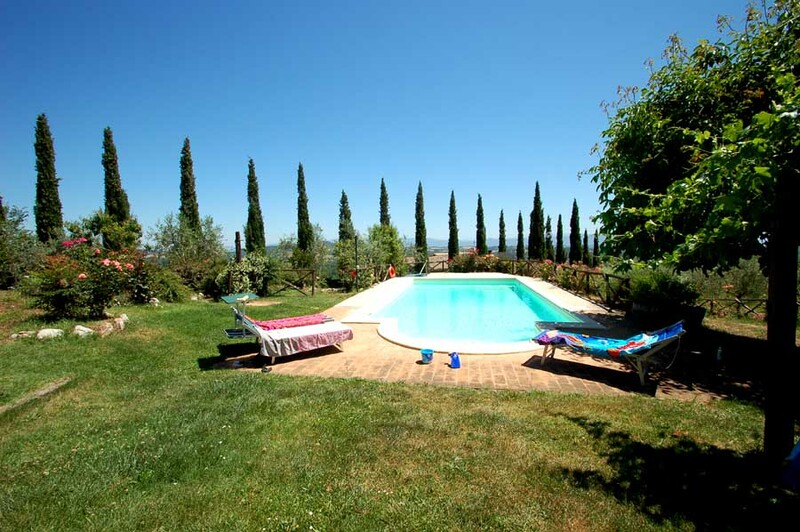 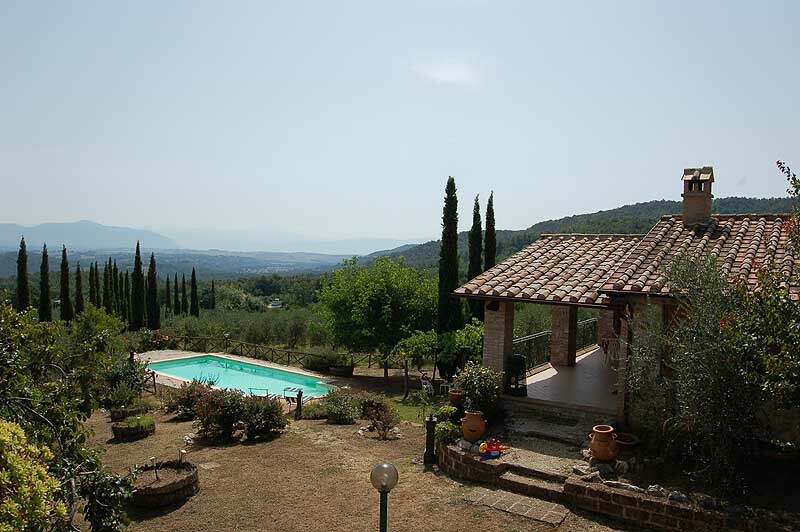 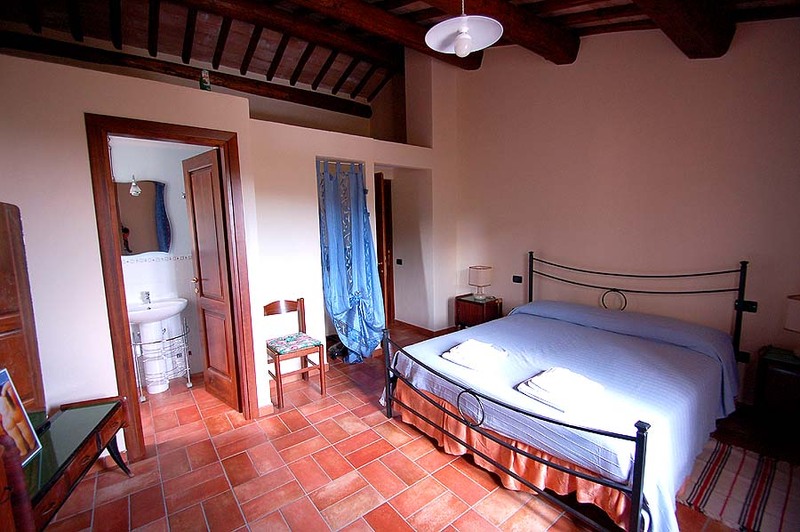 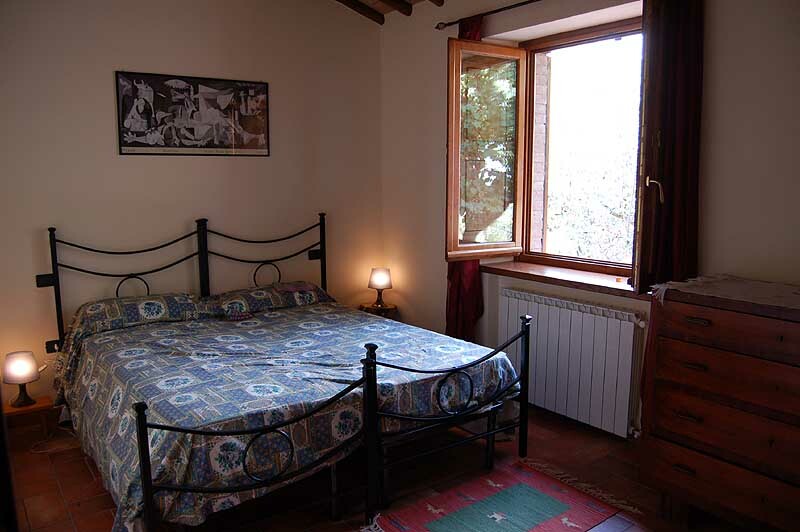 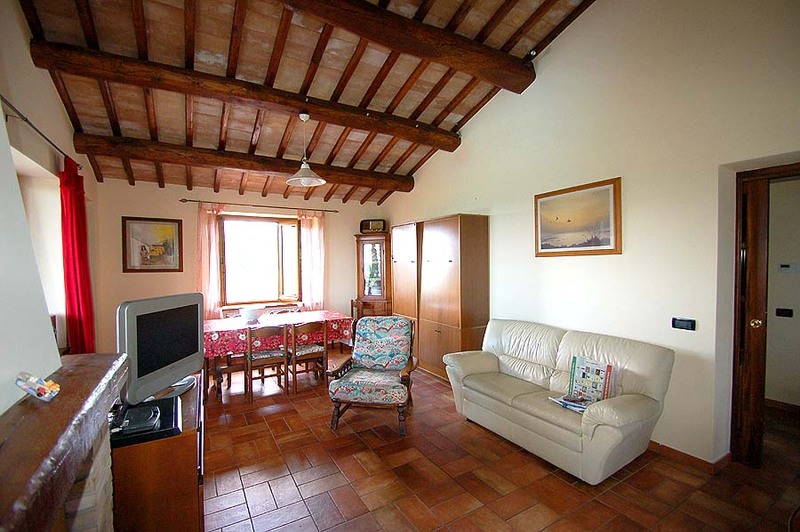 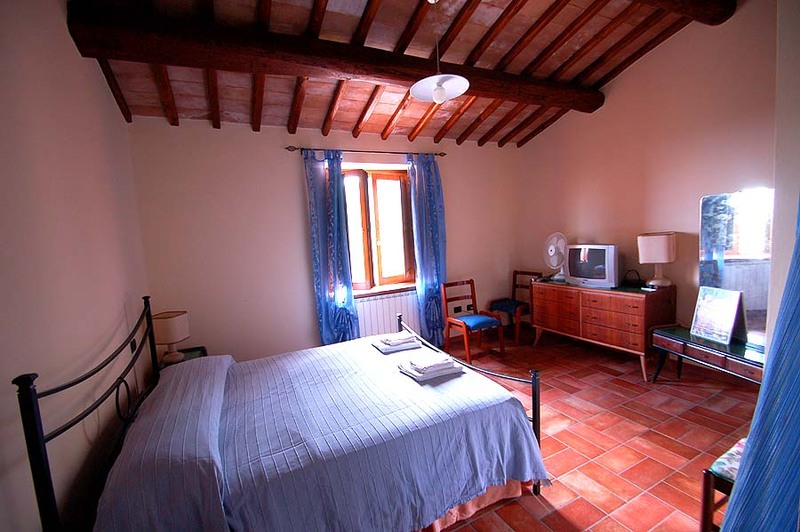 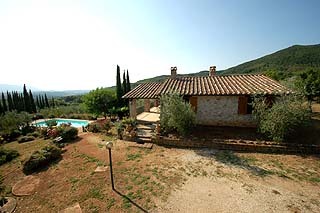 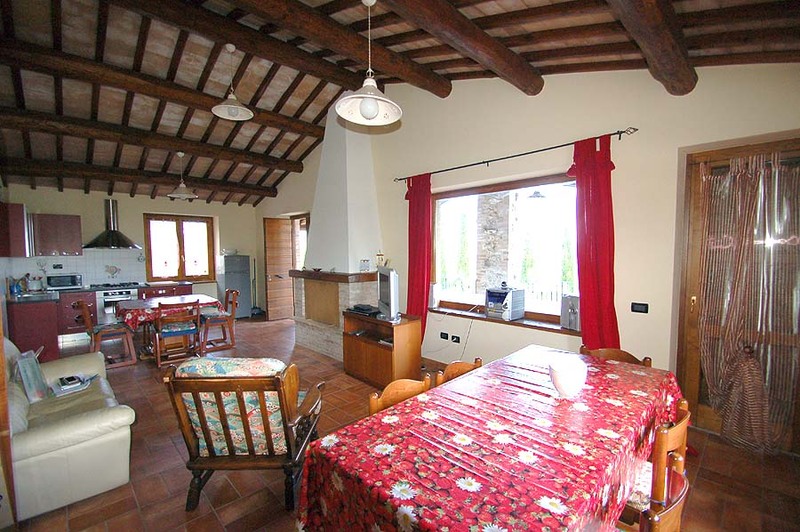 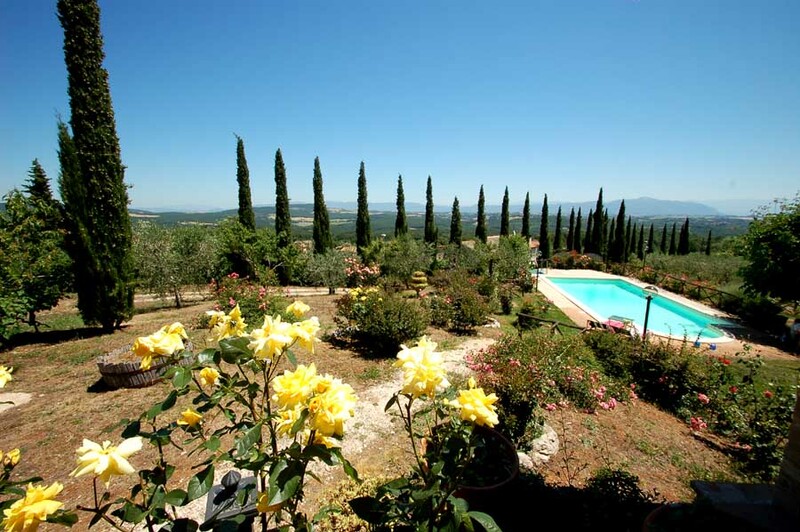 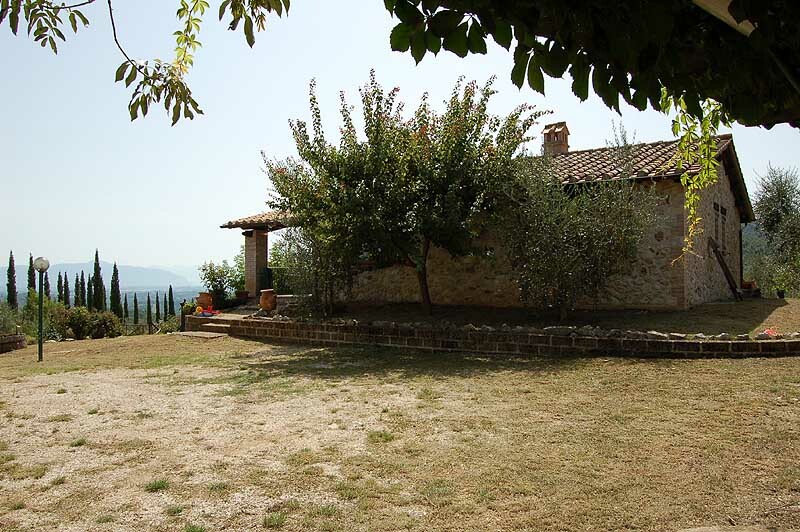 The house lies in south-central Umbria on 5 kms from the village of Melezzole and 6 from Castel dell'Aquila. 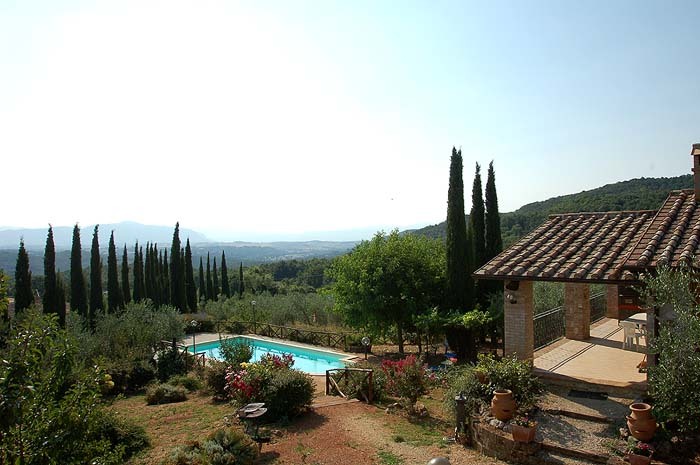 It lies in a hilly position with panoramic view. 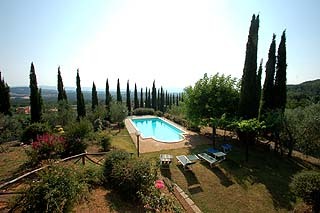 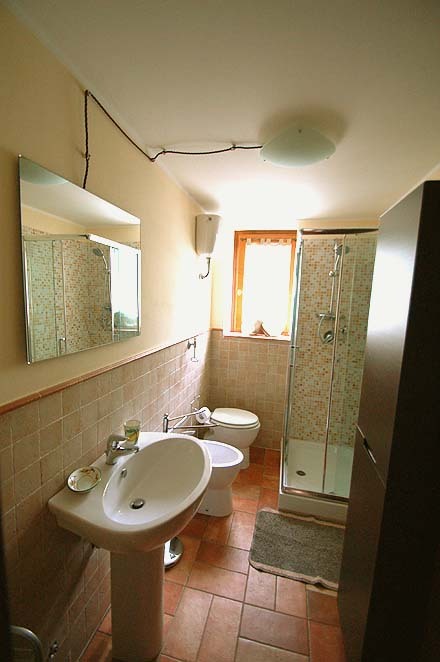 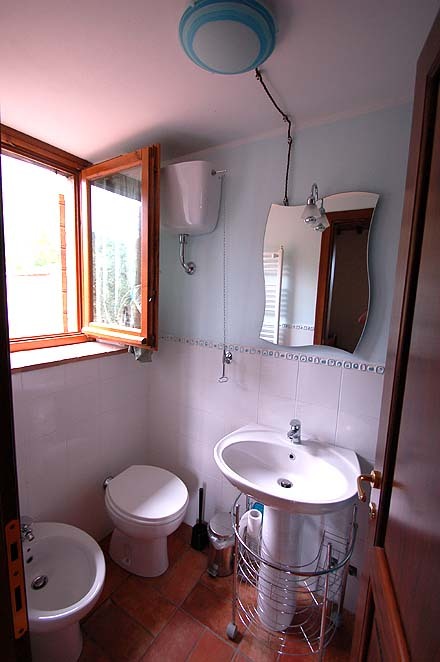 The property has a garden and 10x5 meter pool for private use of the renters. 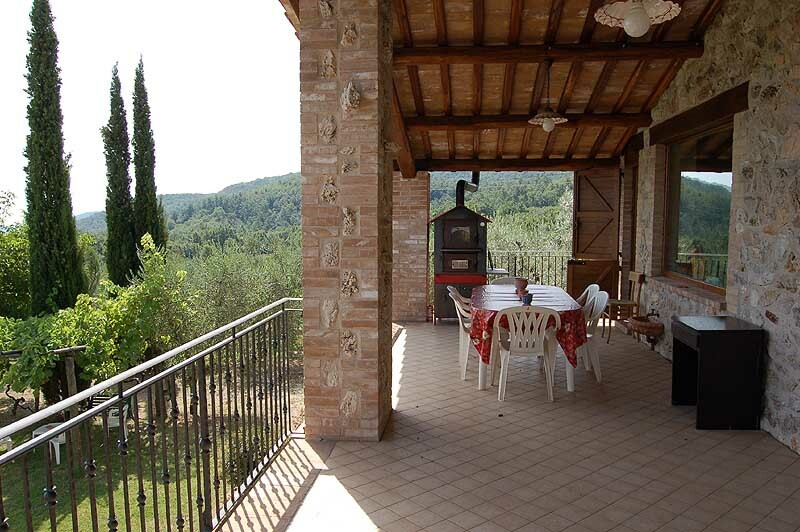 The house has a large covered terrace, equipped with table chairs and oven, where you can eat and at the sametime enjoy the panorama. 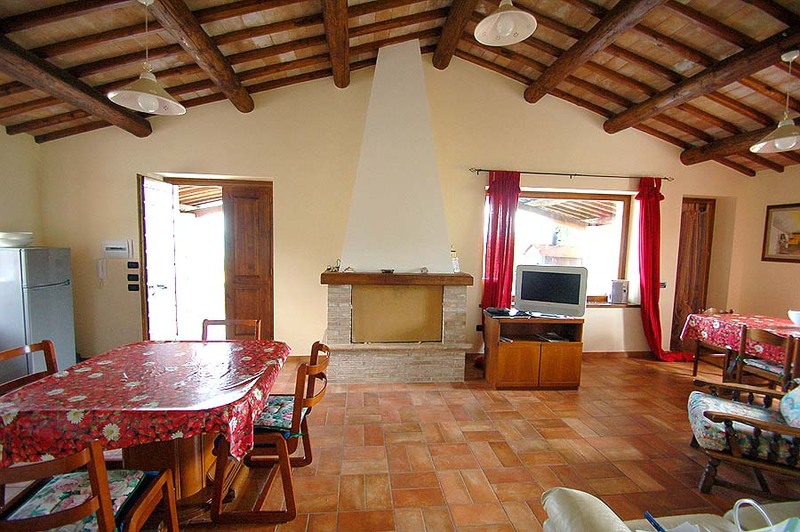 There is also a barbecue at disposition (the fireplace in the living room can not be used). 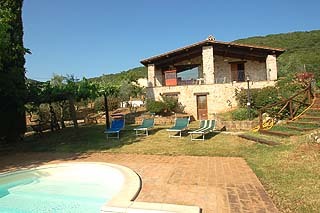 There is also a gazebo near the pool, also equipped with table and chairs. 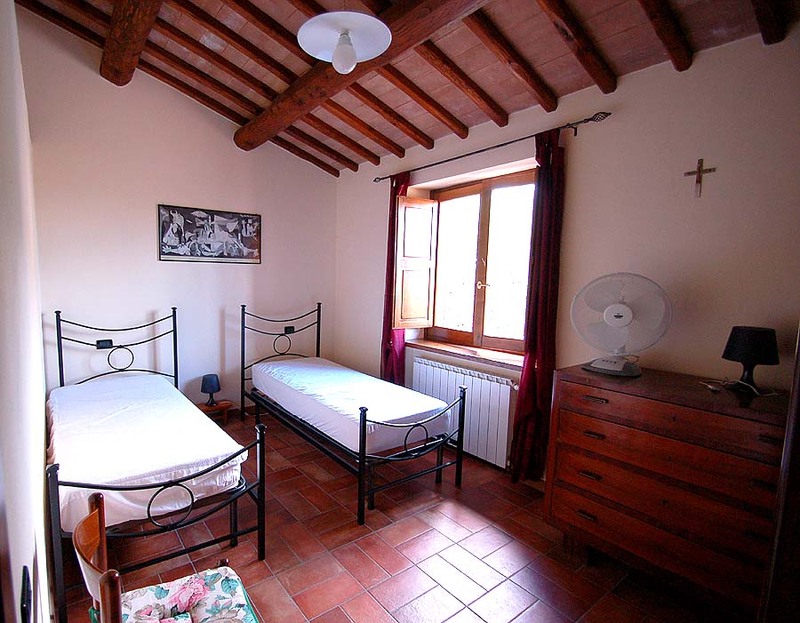 The house is suitable for up to 5 persons (one twin bedroom, one double bed room - there is enough place for an extra bed of a cot in this room. 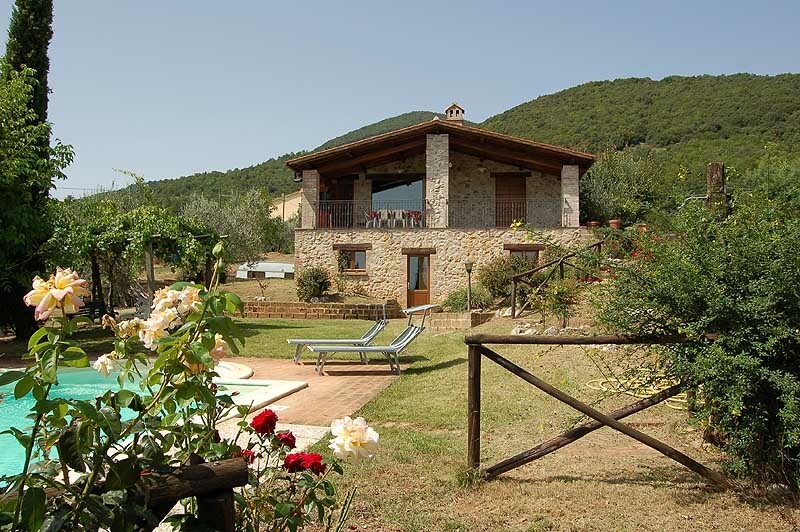 Baker, butcher and a little grocery store are available in the village of Melezzole (5kms far away). 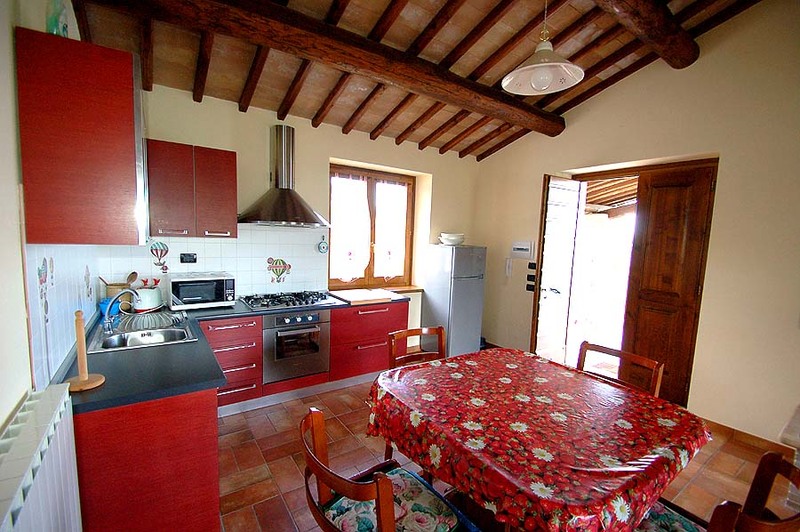 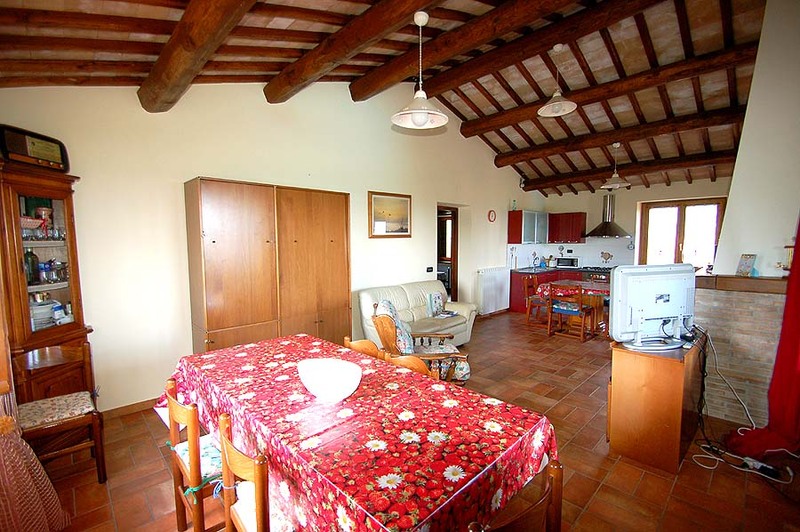 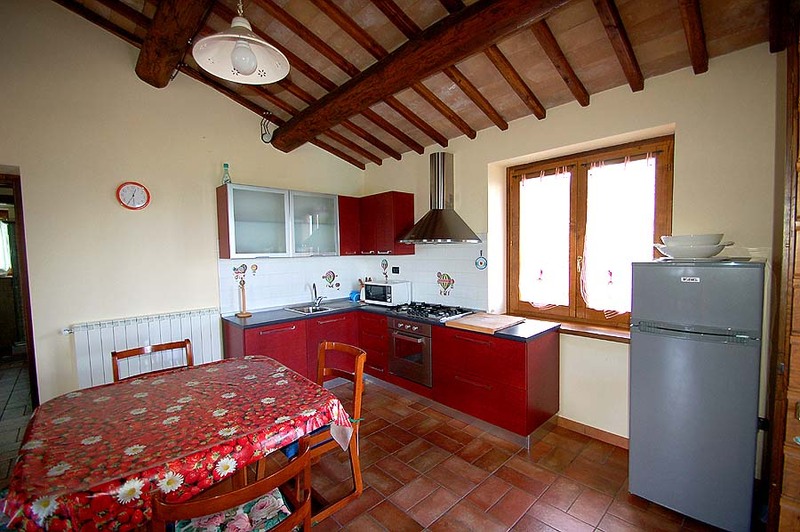 In the village of Castel dell'Aquila (6 km) the following shops are available:1 supermarket, 2 small grocery shops, a baker, pharmacy and 2 bars. 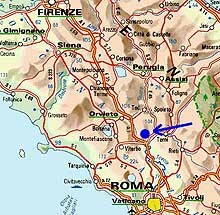 More stores are available in the towns of Avigliano Umbro (8.5 km) and Amelia (20 km). 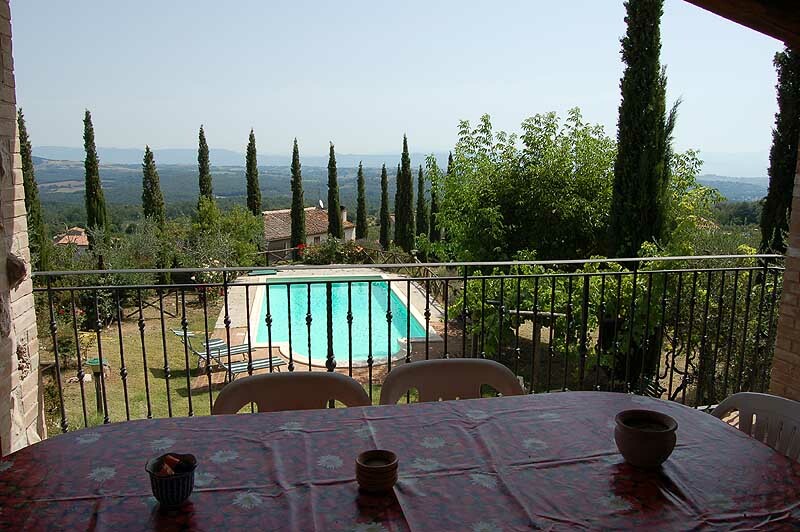 There is a restaurant 2,5 kms from the property.